The heading of this post can almost qualify as a movie title. 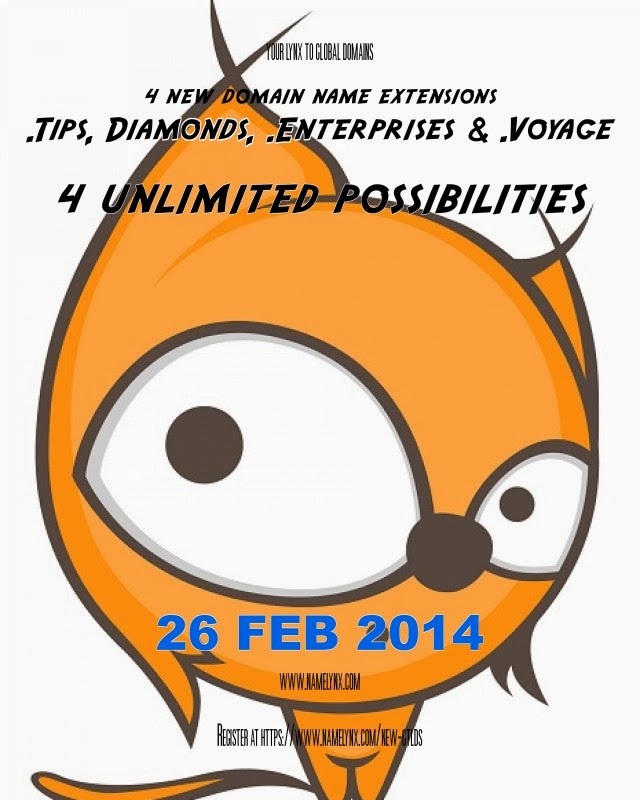 The new domain name extensions .Tips, .Diamonds, .Enterprises & .Voyage will be open for registration on 26 Feb 2014. Register your new domain names at https://www.namelynx.com/new-gtlds. Disclaimer: no marketing or advertising personnel were used in the creation of the namelynx poster.